In a study conducted by Telenor among the school children, it was found that around 98. 8% of students in urban areas use the internet. Among them, 49.5% of the children continue to use internet service from home after school hours. The purposes of internet usage differ from child-to-child, with most of them claiming the usage for school projects, playing games, reading online books, listening to music and watching movies, social networking sites, email, etc. The study further pointed that 54.3% share their passwords with friends. This makes them vulnerable to account hacking, receiving inappropriate messages, being bullied online, etc. To make things worse, over 76% of children are not aware of the child helpline 1098. However, the majority of them agreed that they are ready to approach parents in case of any cyber threats. Around 35% children said that their accounts were hacked and 15.74% shared that they have received inappropriate messages online. 15% complained of being bullied online, whereas 10.41% faced humiliation through picture/video that was uploaded on the Internet. Facebook remains as the most favorite platform for children, followed by WhatsApp, Twitter, and Instagram. “Telenor has taken many steps towards enabling safe internet including Child Helpline 1098 by embedding the number on SIMs. 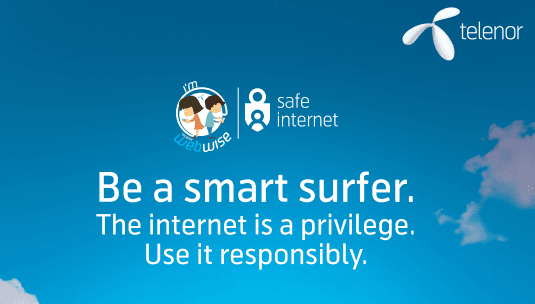 Additionally, we conduct WebWise workshops to coach students on how to be safe while being online. We have reached out to over 55,000 students and will continue to educate them, along with parents and teachers, to ensure a secure digital future,” he added. Telenor WebWise Survey was conducted across schools in 13 cities of India covering 2727 students. Under the program, Telenor conducted workshops in schools to teach safe internet usage to children, parents, and teachers. After the workshop, 92.6% of the children said they will not share personal information with a stranger. 89.3% children agreed to block suspicious persons and inform an adult in case they are bullied online. Sudha get a better phone then why use antivirus. If you need security buy a blackberry. Bro, at least spare the kids, lol. Good joke. Eee. Didn’t get laughter.